Noopept (n-phenylacetyl-l-prolylglycine ethyl ester or GVS-111) is an ampakine nootropic similar in action to the racetam-class of compounds. Noopept is up to 1000-times more potent than the original racetam, Piracetam. Noopept was patented by Russian-based pharmaceutical company JSC LEKKO Pharmaceuticals in the 1996. Research shows Noopept has similar effects, but works differently than other nootropics in the racetam-family. Noopept is not considered a true “racetam” because it doesn’t have a 2-oxo-pyrrolidine core. Noopept does not appear in blood samples when taken as a supplement. Instead it elevates concentrations of cycloprolylglycine (CPG) in the brain. Noopept is patented in both Russia and the USA. It is sold as a prescription drug in Russia, and other countries that were part of the Soviet Union. And as a supplement in the United States. Neurohackers use Noopept to boost cognition, memory and learning. And to improve reflexes, perception, logical thinking and mood. Brain Optimization: Noopept increases Nerve Growth Factor (NGF) and Brain-Derived Neurotrophic Factor (BDNF). Critical for neuroplasticity and Long-Term Potentiation. Brain health gets a boost along with long-term memory. 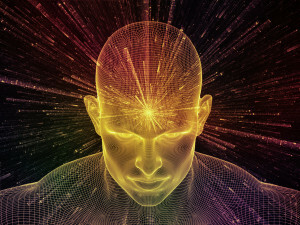 Brain Waves: Noopept boosts Alpha and Beta brain wave activity. You become calmer and more creative. It’s easier to go into a flow state. And you are prone to making innovative and resourceful decisions. How does Noopept work in the Brain? Noopept (n-phenylacetyl-l-prolylglycine ethyl ester or GVS-111) is often included in the racetam-family of nootropic compounds. But is not a true “racetam” because it does not have a 2-oxo-pyrrolidine nucleus. Noopept was developed in Russia where it is called Ноопепт or GVS-111. 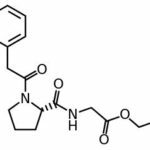 Russian-based pharmaceutical company JSC LEKKO Pharmaceuticals synthesized Noopept in 1996 based off the endogenous neuropeptide cycloprolylglycine (CPG). Noopept could also be considered a Cholinergic compound because it affects acetylcholine levels in the brain. One of the newer synthetic nootropic compounds, Noopept is known as a cognitive enhancer. And is known for its anxiolytic, or anti-anxiety effects. Noopept is considered to be up to 1000-times more potent than Piracetam. As an ampakine nootropic, it helps increase attention span, alertness and boosts all three levels of memory. Memory formation, retention and recall. Ampakines tend to have a stimulant effect. But do not produce the same stimulant side effects as Ritalin or coffee from prolonged use. Noopept and Piracetam are both water-soluble. And both Noopept and Piracetam are cognitive enhancers. Both have neuroprotective and anxiolytic (anti-anxiety) qualities. [vi] Both racetams are able to improve learning and memory. And both are able to repair brain damage. But Noopept has additional benefits not shared with Piracetam. First, the effective dose of Noopept compared to Piracetam is 1,000-times lower. A typical dose of Noopept is 10 – 30 mg while Piracetam is often dosed up to 3 or 4,000 mg.
Noopept also has additional selective anxiolytic (anti-anxiety) action. Researchers believe this is due in part to Noopept’s antioxidant effect, anti-inflammatory action, and the ability to prevent the neurotoxic effect of too much calcium and glutamate. 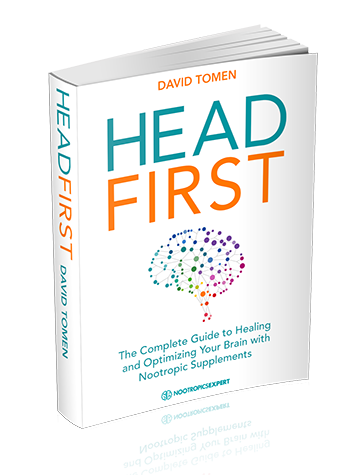 Noopept boosts brain health and function in several ways. But two in particular stand out. Noopept modulates AMPA and NMDA receptors and acetylcholine (ACh) transmission. Noopept boosts the level of cycloprolylglycine (CPG) in the brain. 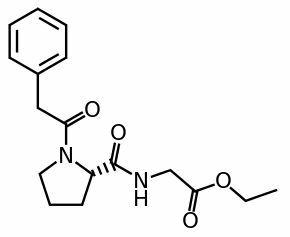 CPG is a dipeptide consisting of proline and glycine which acts as a modulator of acetylcholine transmission, and AMPA and NMDA receptors. When brain cells are starved of oxygen, glutamate which is your brain’s primary excitatory neurotransmitter, does not work efficiently with neuroreceptors. The result can be a toxic buildup of glutamate within brain cells. Causing neuron damage and ultimately, neuron death. Noopept modulates neuroreceptor function keeping glutamate transmission at normal levels. Protecting neurons and other brain cells from glutamate damage. Noopept has also been shown to modulate acetylcholine flow in your brain. Restoring the harmony of glutamate and acetylcholine function not only protects your brain from damage. It can boost cognition, memory, learning, recall, mood and relieve anxiety. Noopept increases Nerve Growth Factor (NGF), Brain-Derived Neurotrophic Factor (BDNF) and mRNA. NGF and BDNF are directly related to neuroplasticity. This ability to repair and even grow new brain cells can have profound implications. Particularly with someone with neurodegenerative brain damage like Parkinson’s or Alzheimer’s. And even affecting Long-Term Potentiation needed for long-term memory development. mRNA affects the expression of genes and intracellular communication in brain cells. This ongoing brain signaling and gene expression within brain cells is required for healthy cognition. Glutamate is an excitatory relative of GABA. While GABA has a calming effect, glutamate stimulates. Glutamate is the most common neurotransmitter in the central nervous system. But glutamate can be toxic to neurons. And too much of it in your brain can kill brain cells. Lou Gehrig’s Disease for example, is caused by excess glutamate. But glutamate is a pivotal neurotransmitter in the brain. It links the brain circuits involved in memory, learning and perception. So Noopept can help for age-related cognitive decline, as well as a student looking to do better in school. 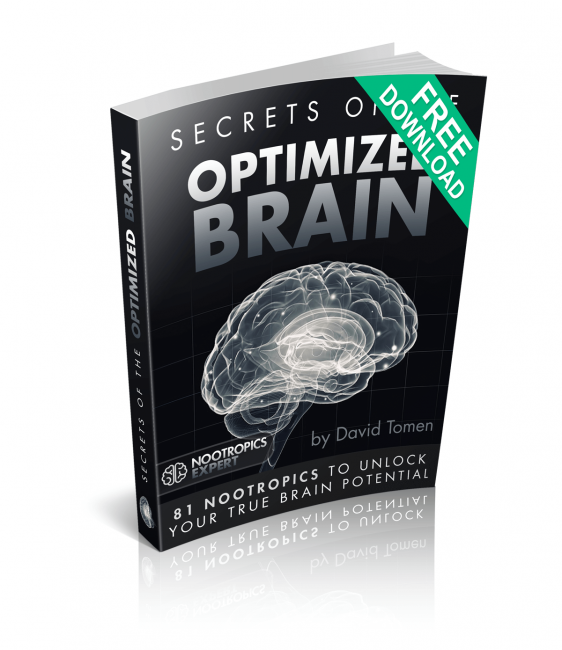 By boosting NGF, BDNF and acetylcholine, and controlling glutamate in the brain. Noopept modulates AMPA and NDMA receptors. AMPA receptors are associated with how glutamate and calcium is used in your brain. With Noopept, it’s more of a neuroprotective role. Similar to the AMPA receptor, the NMDA receptor is also associated with glutamate and calcium use in your brain. They work together to modulate how neurons use glutamate. Noopept modulates levels of glutamate within and between neurons. It prevents glutamate toxicity, and influences Long-Term Potentiation (LTP). LTP is associated with neuroplasticity that allows long-term memories to form. There is clinical evidence that Noopept boosts communication and neuron signaling. By boosting Alpha and Beta brain wave activity. You become calmer and more creative. It’s easier to go into a flow state. And you are prone to making innovative and resourceful decisions. Noopept produces an anxiolytic (anti-anxiety) effect. It stimulates dopamine receptors (D2 and D3) and acetylcholine nicotinic receptors. And Noopept also seems to modulate some serotonin receptors. All contributing to a better mood and less anxiety. Noopept is water-soluble and quickly enters your brain after you take it. Once in your brain, it boosts signal transmission, and protects neurons. Noopept as a study aid. On its own, Noopept increases focus and attention for many neurohackers. Mental arithmetic and grasping difficult concepts is easier. Increased verbal fluidity. Your conversation skills could increase with Noopept. Vocabulary comes easier. Being able to focus contributes to a more balanced dialogue. Neurohackers report being more outgoing, friendly and less self-conscious. Improved mood. With Noopept you may find yourself better able to deal with stressful situations and work issues that normally get you down. Once you get past the first few weeks of unpleasant memories related to PTSD you may find overwhelming emotions will subside. You could feel detached in a pleasant way from painful memories. Music appreciation. Many users report increased pleasure when listening to music while using Noopept. For some it takes music to a different plane. Distinguishing between instruments in sound tracks is easier. As a whole, music sounds better. Long-term memory. Noopept affects NGF and BDNF which affects long-term potentiation. Some neurohackers report memories long forgotten suddenly spring up. Which could be good or bad I suppose depending on the memory. But reports say memories are clear. And if they’re unpleasant there is an emotional detachment shielding from unpleasant feelings. You should be able to experience the effects of Noopept soon after you take it. It’s water-soluble and enters your cells quickly especially if you take it sublingually. A word of caution however; don’t go over the recommended 10 – 30 mg per day dose! You will not experience any added benefit, and could bring on unwanted side effects. There is some debate on the water-solubility of Noopept. It’s not truly fat-soluble but it certainly doesn’t hurt to use a quality “good fat” when taking your Noopept dose. A study published by the Russian Academy of Medical Sciences in Moscow shows that Noopept stimulates Nerve Growth Factor (NGF) and Brain-Derived Neurotrophic Factor (BDNF). In this study, researchers studied the effect of single and long-term treatment (28 days) of Noopept. They found that one-time treatment boosted mRNA in the cerebral cortex of rats. mRNA is a molecule in brain cells that carries codes from DNA where they specify the amino acid sequence of proteins. And long-term treatment of Noopept increased Brain-Derived Neurotrophic Factor (BDNF). The researchers speculated that this sequence of events in the brain plays a role in the restoration of neurons. Improving neurotrophin synthesis in the hippocampus boosts cognitive function. Particularly consolidation and delayed memory retrieval. Researchers in Moscow studied the effects of injecting Noopept in rats to see how it would affect brain waves. The team found that Noopept increased Alpha and Beta brain wave activity throughout the brain. You experience Alpha waves as you become more relaxed. Alpha waves are associated with super-learning, flow state and joy. Beta waves are associated with concentration, alertness and cognition. NMDA receptors are associated with Long-Term Potentiation (long-term memory) and neuroplasticity. AMPA receptors are associated with increased brain signaling activity. Boosting cognition and memory. Noopept is known within the nootropic community for enhancing memory. And dozens of studies support this claim of better memory when using Noopept. One study done at the Russian Academy of Medical Sciences in Moscow experimented with Noopept on rats. The animals were trained in passive avoidance response. The animal’s ability to both form a memory and retain a memory was impaired. But once the rats received a dose of Noopept, they were able to retain a memory and retrieve that memory later. In other words, Noopept normalized learning capacity in animals with damage done to their cerebral cortex. And promoted training ability in rats with a hereditary learning deficit. 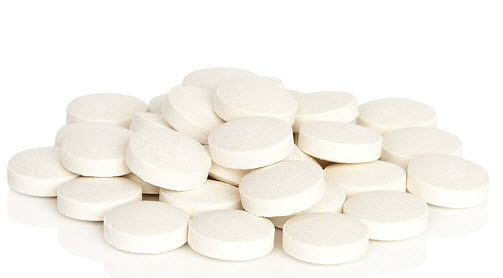 Recommended Noopept dosage is 10 – 30 mg per day. Noopept is sold in tablet, capsule and powder form. Tablets and capsules are usually 10 mg each. Noopept is primarily water-soluble nootropic, but won’t easily dissolve in water or juice. So it may help if you take it with a meal containing healthy fats. Or with a tablespoon of extra virgin, expeller cold-pressed coconut or olive oil. Or other similar healthy fat to ensure quick absorption. For even quicker absorption you can use Noopept sublingually. Let the tablet or powder dissolve under your tongue so it can go straight into your blood-stream, and into your brain. Bypassing your digestive system completely. Noopept is a synthetic nootropic and consider non-toxic. So is considered well-tolerated and safe. As long as you stay within the recommended dosage. Side effects are rare but can include fatigue, headaches, insomnia or stomach upset. Side effects are often a result of unusually high doses of the nootropic. Headaches from using Noopept typically happen when you forget to combine it with a good choline supplement. Headaches are often a symptom of a choline deficit in your brain. In Russia and some other Eastern European countries, Noopept is a prescription drug. We recommend using Noopept as a nootropic supplement. Your body does not make Noopept on its own. So to get its benefits you must take it as a supplement. 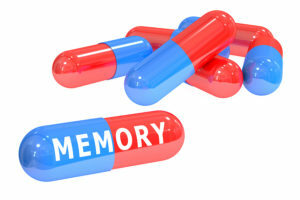 Noopept is especially helpful for those looking to boost cognition, memory and recall. This nootropic helps boost the activity of acetylcholine in your brain. It modulates glutamate receptors which normalizes optimal neurotransmitter function. And increases Nerve Growth Factor (NGF) and Brain-Derived Neurotrophic Factor (BDNF) which helps the neuroplasticity needed for Long-Term Potentiation. Noopept is also particularly useful to students and executives who want to boost cognition, learning and memory. 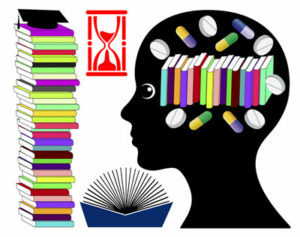 My experience using Noopept shows it helps boost study scores, work flow, learning and memory. Noopept also helps improve verbal fluidity and sociability. Words seem to come easily, and vocabulary you didn’t know you had access to come into play. Music sounds richer and fuller, and your listening experience enters a new level of music appreciation. You should stack Noopept with a good choline supplement like Alpha GPC or CDP-Choline. It helps boost neural acetylcholine, so demands the presence of more choline in your brain. You should not exceed doses of more than 30 mg per day. Start with 10 mg and see how you respond. I am planning on taking noopept in combination with centrophenoxine. Should centrophenoxine be enough as a choline source for noopept? Some neurohackers use Centrophenoxine as their choline source when stacking with a racetam. Including Noopept. And others insist it’s not a reliable choline source and use Alpha GPC or CDP-Choline as well. Everyone’s body and brain are different which is the reason we always say “Your Mileage May Vary”. Try 500 mg of Centrophenoxine on its own with Noopept and see how you react. If you don’t get the benefits of Noopept or you get a ‘racetam headache’ you can either boost your dose of Centrophenoxine to 1 gram. Or you’ll know you need to add an additional choline source. It would be helpful if you reported back on your experience Daniel. And let us know if Centrophenoxine was enough or you had to add another choline source. Experimentation is key to get the most out of your nootropic stack. hello, i would like to try noopept. i was thinking about start with 10mg of powder sublingually (after meal??) with 300 mg of choline. i need a little help in order to study with a little more focus. Do you think is a good idea? i have tried piracetam for 1 months with no results,i’m a little bit scared about using new nootropics but i red that noopept is extremly safe so i’m interested to try it. thank you very much for your answer. Have a nice day. Sounds like a good idea. And certainly worth trying. 10 mg is a good starting point. It’s high enough of a dose that if it’s going to work for you, you should know with 10 mg of Noopept. And the dose is low enough that you shouldn’t experience any side effects. 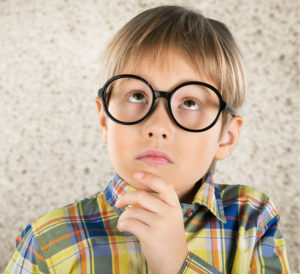 What type of choline are you using? Hi, i m trying noopept (10mgx2 sublingually) , i started 2 weeks ago and i feel more focus and a memory improvement. But I m so scared about the possibility of irreversible sides effects…it s a stupid scared? I would like to continue with noopept but I m scared as I said, I have not noticed any sides effects right now (maybe a little irritability). Everyone’s body chemistry and genetics are different. So only you can tell if Noopept does not agree with you. I’m not going to tell you that your fears are unfounded. Listen to your body. And make sure you’re giving your brain the choline it needs by using something like Alpha GPC or CDP-Choline every time you use Noopept. The “placebo effect” applies just as much to side effect symptoms as it does to the efficacy of anything you put in your body. So your fears could be causing the “irritability”. Or it could be because you don’t have adequate choline available to synthesize acetylcholine. Do you think is useful cycling noopept like 1 month on and 1 week off or 2 months on and 1/2 week off? However, I mean, I m not scared about little side effect like dizziness, I m scared about irreversible damage, maybe is a stupid fear, but somewhere I red also this. Vince, as long as your older than 18 years I’m not aware of any mechanism of action with Noopept that would cause any type of brain damage. And the way Noopept works in the brain, there’s no reason to cycle it. It certainly wouldn’t hurt the cycle it. I simply don’t see any benefit. I really enjoy how this stack makes me feel!! I’m curious and want to try and add noopept to this stack and occasionally sulbutiamine. What are your thoughts on a stack like this? Can I take noopept with aniracetam? I’m concerned if this stack would cause excess glutamate … I want to be careful and not kill my neurons or have any other negative effects. Samantha, if your stack feels good then you’re definitely on the right track! I use Aniracetam with Noopept and love it. Noopept is an amazing nootropic and I’m surprised more don’t know about it. But your mileage may vary because everyone’s body and brain is unique. Try it and see if it works for you. Thank you so much for your reply! I will certainly give it a try and see how it works for me. This website is amazing! I absolutely love it. Thanks again David! I know noopept with CDP Choline/ Alpha GPC is great, but can i add to this stack L-tyrosine? I have read that l-tyrosine stacks well with noopept. And modafinil/noopept what you think? Francisco, L-Tyrosine stacks well with Noopept and either CDP-Choline or Alpha GPC. I personally have used NALT instead of L-Tyrosine because it works more effectively for me. I do not have any experience with modafinil so cannot offer an opinion on stacking it with Noopept. I’ve used Noopept with Ritalin and it worked well. Mickey, Noopept is likely fat-soluble and affects acetylcholine levels in your brain. Which means the only way to experience any benefit with Noopept is to take is with a a healthy fat like a tablespoon of unrefined coconut oil, MCT oil or virgin olive oil. And take it with either Alpha GPC or CDP-Choline because your brain is demanding extra choline while using Noopept. Hi. I was considering stack Noopept with CBD oil. I have poor memory but also problems with anxiety. Any thoughts ? Chris, I would be very careful about stacking Noopept with CBD Oil. I understand what you are trying to achieve but I am not aware of any research on how these two would react or interact. All the nootropics in each of those posts have been extensively researched including interactions and side effects. But throwing CBD Oil in the mix is a wild card. You may be better off trying some other nootropics to get anxiety under control. And save CBD Oil for later when you have more experience. Hi david love your site very informative. Just a question really iv been using buprenorphine for 3 years now and iv been on a taper schedule i was on 20mg and now down to 1.2 so almost there. Iv been taking l methionine, tyrosine, dlpa, l leucine, and glycine. I use 5 htp to help with sleep and theanine. Would it be ok to start using noopept and possibly phenibut as i get to 0.8mcg? Louis, buprenorphine is a opioid receptor agonist so should not interact with Noopept. But please follow the dosage instructions in this post carefully. Start with the lowest dose and see how your body reacts. I don’t know why you’ve been using buprenorphine but if it has anything to do with addiction then please stay away from Phenibut. You have plenty of other anxiolytics available that can provide similar benefits to Phenibut. 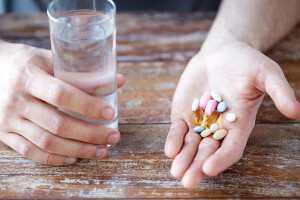 Since noopept is considered a food supplement and is not necessarily quality controlled, how can I be sure which product is the real thing without the placebo effect? I’ll preface this with the fact that I have sleep apnea and still had some lasting effects from the untreated period. I also take Modafinil (for the daytime sleepiness that still remains despite treatment), phosphatidyl Choline(500mg), alpha GPC (300mG), Omega-3 DHA (1G), astaxanthin (12mg), L-Citrulline (500mg). I started taking Noopept 2 days ago. Suddenly I’m almost constantly in a flow state at work and feeling joyful, in addition I have motivation that I haven’t had since probably before the apnea started (it’s hard to say when apnea starts because it comes on slowly and symptoms keep on building as your body decompensates in different ways). Nicholas, good to here that Noopept is work for you. It does boost Alpha and Beta brain waves which contribute to flow state. Why is it suggested to take Noopept with choline? Can I take aniracetam as a substitute? Sarah, one of the ways Noopept benefits your brain is by modulating acetylcholine transmission. So you need extra choline from a supplement like Alpha GPC or CDP-Choline to make that acetylcholine. One of the ways Aniracetam benefits your brain is to increase the release of acetylcholine and it also seems to boost acetylcholine signaling. Which means Aniracetam needs extra choline to work as well because it causes your brain to demand extra acetylcholine. Both nootropics affect acetylcholine in your brain one way or another. And both need support from a choline supplement like Alpha GPC or CDP-Choline. Neither one provide choline on their own. I have narcolepsy and have begun experimenting with Noopept. So far it has alleviated some of the anxiety issues experienced with modafinil, although I do have a tendency to be impatient and feel as though something mind-blowing is about to happen at any moment. So far it’s worked quite well and I’ve experienced improvements in my writing such as staying on subject and better flow. problem is stopping, it results in bouts of paranoia. Chris, are you using any nootropics to support modafinil? This drug affects the dopamine transporter and acts as a dopamine reuptake inhibitor. Which means it makes more dopamine available in certain areas of your brain. But if that dopamine is not naturally available you could run into problems like you are experiencing now. Noopept is a good choice for you but will work better if you stack it with Alpha GPC or CDP-Choline. And boost your dopamine by trying L-Tyrosine or NALT. Hi Dave, I’ve recently ordered some noopept to see if I can benefit from this prodeuct. I am enrolled in a very demanding program in university and I’ve heard alot of good things about noopept so I figured I would give it a try. The manufacturer of the particular brand I’ve ordered recommends taking 10-30mg/day for 1.5-3 months for the product to work best. I have reservations about taking a nootropic for a prolonged period of time and I was wondering if noopept can be used on a casual basis as the need for it arises (exam periods for example). Danny, Noopept boosts Nerve Growth Factor (NGF) and Brain-Derived Neurotrophic Factor (BDNF). So it makes sense that long-term use of this nootropic can only help your brain. It also helps keep glutamate in check which protects your brain from glutamate toxicity. You’ll get more benefit by using it daily (10 – 30 mg) over the long-term. But make sure you stack it with a good choline supplement like CDP-Choline to get the most benefit. A friend of mine takes this with alcar and swears by it, is Alcar doable or should I stick to choline. I was actually thinking of trying it out but not sure if I should take it with Alcar or a choline supplement, or both! Erik, I suggest taking it with both ALCAR and a choline supplement. Because ALCAR contributes the the synthesis of acetylcholine. But does not directly provide the choline needed for synthesis. I recently ordered a bottle of noopept offline and haven’t received it yet. The bottle I got contains Choline, NALT, Alpha GPC along with 35 mg of noopept. It’s that last part that bothers me. I didn’t notice it until after I made the purchase now I realize that it’s a fairly high dose and I’m a little concerned. I have a history of anxiety though it is mostly under control at this time. I’ve also never taken noopept or anything from the racetam family before. Do you think a 35 mg dose is a good idea for someone with limited experience with this particular substance? Nicholas, the upper limit for dosage of Noopept is 30 mg per day. But I don’t think another 5 mg will make that much difference. 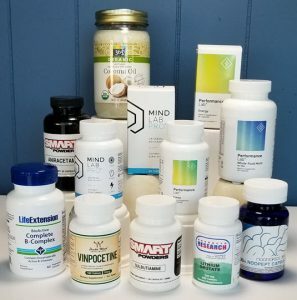 There is nothing toxic in this stack as long as the dosages are within limits. Try it and see how it works for you. You’ll know with just the first dose. I bought a bottle of noopept online. It included Choline, NALT, and Alpha GPC. It seemed like a great buy and maybe it still is. My only concern is after closer inspection the dose of noopept is 35 mg. This seems a little high. I have never tried noopept or any racetam. Do you think it is a bad idea for someone with little experience to start on this dose? I’ve had a history of anxiety though it is largely under control. I’ve read that certain doses of noopept can trigger some anxiety. Thanks for the valued information. my question is how to use noopept? in one dose of 30mg in morning? or two doses of 15mg? or three doses of 10mg? and how it can interact with the sleep? it can interfere with sleep? if taken before sleep or in last three hours before sleep? if its benefits depend on long-term? is there need for dosing? please suggest the best dosing for it. because I am planning to use it but I need to avoid any mistakes in the dosing. I prefere to take it once in morning, if no need for dosing or no difference. I am waiting for your valued suggestions. Faisal, if you are going to use the full 30 mg for your daily dose of Noopept it should be 10 mg in the morning, 10 mg at noon,and 10 mg later in the afternoon. It should not affect sleep. And don’t forget to use Alpha GPC or CDP-Choline with each dose. how to use Noopept is now very clear for me. Thanks David for your clear and valued practical answer. Dmitry, thanks for the report.